Do you like Gotia.io? Share it with your friends. 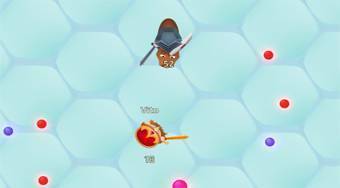 Gotia.io is another great multiplayer game from the popular .io games series. In this game, it will be your task to move around with your hero around the playing area, collect colored balls to collect points and dispose of other players from around the world. Also collect bonuses in the form of shields or animals on which you can ride.